If you’ve been looking for a more affordable way to take home a Land Rover luxury SUV in Mason, a Certified Pre-Owned Land Rover might be the right choice for you. With a rigorous 165-point inspection and up to 7 years or 100,000 miles of warranty coverage, a CPO Land Rover offers more peace of mind than a normal pre-owned car but without the new car price tag. Learn more about the benefits of owning a certified pre-owned model at Land Rover Cincinnati, your local authorized Land Rover retailer. The vehicle can be no more than five years old, starting from its original retail sale. The vehicle must have less than 60,000 miles on the odometer. The vehicle must pass an independent vehicle history report and independent mileage check. The vehicle must have a complete service history and must be free of non-Land Rover-approved aftermarket modifications. Peruse our extensive CPO inventory online or visit Land Rover Cincinnati to see them in person. We have a variety of CPO offers for Lexington, KY drivers to take advantage of, and an experienced finance team to help you find competitive rates! 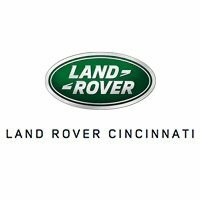 If you decide to sell your Land Rover, bring it to Land Rover Cincinnati to find out if it passes the CPO requirements! Land Rover Approved Certified Pre-Owned Coverage, including limited warranty and roadside assistance, expires up to seven years from the original in-service date or 100,000 miles, whichever comes first. Original in-service date is the earlier of the new-vehicle retail sale or in-use date, as reported to Jaguar Land Rover North America, LLC. Select vehicles may have the option for different warranty terms. Vehicles with the 7 year/100,000 miles limited warranty are limited in supply and only available at participating Land Rover Retailers. See your local authorized Land Rover Retailer for complete terms and conditions of the limited warranty and service coverage.